With the price of a crucial diabetes drug skyrocketing, at least five states and a federal prosecutor are demanding information from insulin manufacturers and the pharmaceutical industry’s financial middlemen about their business relationships and the soaring price of diabetes drugs. They appear to be looking into potentially anti-competitive business dealings that critics have leveled at this more than $20 billion niche market of the pharmaceutical industry, according to analysts and court filings reviewed by Kaiser Health News. These include whether drug makers and middlemen in the supply chain have allowed prices to escalate in order to increase their profits. The price of insulin — a lifesaving drug — has reached record highs as Eli Lilly, Novo Nordisk and Sanofi raised prices more than 240 percent over the past decade to often over $300 a vial today, with price rises frequently in lockstep, according to information technology firm Connecture. Those prices take a toll on patients like 21-year-old Hunter Sego, who needs about four vials a month for his Type 1 diabetes. When he went to the pharmacy last year, the drug was no longer on a preferred tier and the price had risen to $487 a vial, compared with about $200 from a few years ago. Insurance companies often take drugs off a preferred list in response to pharmaceutical price rises to discourage overuse, a business strategy that leaves patients stuck in the middle. “I was absolutely floored,” Sego said. The DePauw University junior began skipping doses, knowing that his parents were paying cash until they met their health plan’s high deductible. Sego lost weight and felt lethargic, and his grades suffered. Sego’s college football coach finally called his mother to ask what was going on. “I have to watch him like a hawk because I know he is trying to save money,” said his mother, Kathy Sego. Last year, before the states took action, the U.S. Attorney’s Office for the Southern District of New York, one of the nation’s most powerful federal prosecutors, issued civil investigative demands to Eli Lilly, Novo Nordisk, Sanofi and Express Scripts, according to financial filings. “There is enough concern about competition in the drug industry to have galvanized forces at the state and federal level to create specific pictures of abuse,” said Diana Moss, president of the American Antitrust Institute, after hearing of the investigative demands. Attorneys general use the legally binding demands to collect evidence, such as documents and emails, and testimony to help “piece together any number of stories about potential competitive harm,” Moss said. Insulin prices have risen at regular intervals for years, Connecture’s research shows, but the trend has become more pronounced in the past few years. For example, in the final months of 2007, Sanofi’s Lantus cost $88.20 per vial and Novo Nordisk’s Levemir $90.30 a vial. Today, after increasing in tandem over the years, Lantus costs $307.20 per vial and Levemir runs $322.80 for the same amount, based on average wholesale prices. The United States is one of the few developed countries without regulations on prescription drug pricing. So, one of the few tools available for the government to curb price increases is to show fraudulent or anti-competitive practices. Each of the pharmaceutical companies said it is committed to ensuring patients have access to medicine. Novo Nordisk, which makes Novolog and Levemir, also pledged to limit price increases. 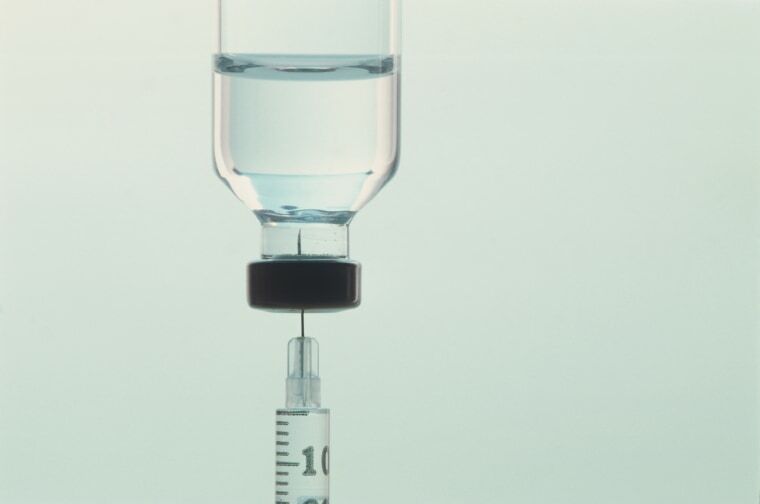 Eli Lilly has announced a discounted insulin program. State and federal prosecutors often begin investigations because of consumer and whistleblower complaints, several civil and antitrust attorneys said, and gripes about rising insulin prices have been roiling the online diabetes community for the past few years. It’s difficult to know exactly what the state and federal prosecutors are looking for, though, Tierney said. The investigations are often sealed from the public, revealed primarily when public companies acknowledge receiving them in their financial filings. Nearly all of the federal and state officials declined to confirm or deny the investigations, except Washington and New Mexico officials, who confirmed the existence of the civil investigative demands. Still, clues about the insulin investigations can be pieced together from corporate filings. They focus on issues like pricing and business relationships. Several ask for information about specific insulins regarding certain years. In January — at about the same time states began filing civil demands — the first of a handful of potential class-action lawsuits that were national in scope were filed. A U.S. district judge combined Berman’s suit and several other national cases last month, adding the pharmacy benefit managers, or PBMs (Express Scripts, CVS and UnitedHealth Group with its division OptumRx) as defendants. Berman and the other attorneys declined interview requests. But attorneys at Keller Rohrback, one of the firms whose case was rolled into Berman’s, explained the reason for adding the PBMs in a May letter to the court: “The PBM defendants play a central role in the scheme — selling formulary access in exchange for ‘rebates’ or other payments” from the manufacturers. Rebates, or negotiated discounts, occur when a manufacturer sets a list price and then agrees to pass money back to the PBMs in return for something, generally a spot on the formulary that determines which drugs can be purchased. The PBMs say their negotiations ensure drugs are affordable, and two of them pointed fingers back at the drug makers. Express Scripts spokesman Brian Henry declined to comment on the investigations or lawsuit but stated in an email that “if prices have gone up in lockstep, that is because they have been priced by the drug makers in lockstep.” UnitedHealth did not respond to questions. And CVS Health called the lawsuit without merit.